Using an inadequate tongue retaining device comes with numerous risks. Therefore, before you make a purchase, you need to be sure that you have made a smart and safe decision. Our Boyon Tongue Retainer VS aveoTSD comparison brings you objective assessments of the quality of both of these devices, along with our professional opinion on which one of them constitutes a better anti-snoring solution. AveoTSD is a device focused on stabilizing your tongue by pulling it into a forward position within your mouth. As this action keeps your natural airflow unobstructed, you will notice a difference in breathing and, ultimately, stop snoring altogether. AveoTSD tongue stabilizing device is designed to last for 12 months. However, with proper maintenance and use, it may last up to 24 months. AveoTSD tongue stabilizing device is made of 0.4 mm thick medical-grade silicone. It is incredibly light, weighing just 12 grams. AveoTSD tongue stabilizing device is not customizable – you can only increase or reduce suction pressure by squeezing the device. However, AveoTSD does come in 3 different sizes: small, medium, and large. Medium-sized AveoTSD works for 90-95% of snorers. With AveoTSD, it usually takes a week or so to get used to wearing the device. 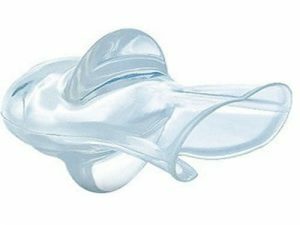 If you have not used a similar device before, be sure to try it on during the day before the first night of use so you can get accustomed to the sensation of having your tongue sucked into a silicone device. AveoTSD is a highly effective anti-snoring solution that directly targets the root cause of snoring. It applies suction pressure to the tip of your tongue and thus prevents it from falling back and causing oral airway obstructions. It also prevents clenching and tooth grinding, as it places your tongue between your teeth. This double effectiveness is one of the main reasons for its massive popularity. AveoTSD should be rinsed daily in hot water. Furthermore, it should be washed with a denture cleaning solution every week. Rinse the device thoroughly after cleaning. If you want to sterilize the device, you can use a cold sterilant. Difficulty swallowing saliva, which can be eliminated by slightly easing off the device so the tongue is more flexible. Individuals with moderate to severe sleep apnea. AveoTSD comes with a money-back guarantee. If you are not satisfied, you can return your device within 90 days after delivery and receive a refund. The refund does not include potential customs/GST/VAT or additional shipping costs. AveoTSD tongue stabilizing device comes with a six-month replacement warranty from the date of purchase. The warranty exclusively applies to defects that are caused by the manufacturer. it helped me tremendously and reduced my snoring to "acceptable levels". I still can get over the fact that I gave a hundred bucks for a piece of rubber though. Urrghh a horrible piece of equipment that results in conditional disturbed sleep. Granted it did reduce snoring but at the expense of sleep which defeats the whole purpose. Tried it consistently for a few weeks to become accustomed to it, and never did. It is a essential a bulky bit of silicone sticking out of your mouth whilst stuck to your tongue. On that point, how is it worth nearly $100? I mean really, it’s a piece of silicone made from a cast (not customised or anything). I contacted the company (I’m in Australia) to see if I could return it as they advertise a money back guarantee and got no reply. Hateful product. This device looks weird and when I started using it, I had problems actually placing it on my tongue. One time I put it on too tight and the next day my tongue hurt, like actually hurt. As for snoring, it does help, but it doesn’t eliminate it. I tried using this for a couple of weeks but I wasn’t satisfied. Got my money back easily.